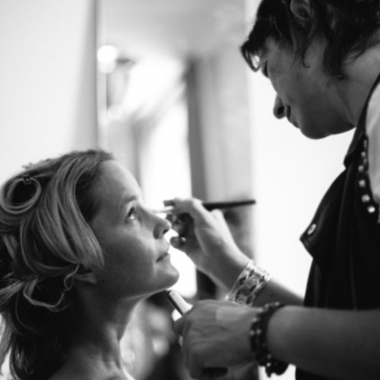 The beauty team consists of a close-knit team of make-up artists and hair stylists who can ensure you look your absolute best on your wedding day and in addition, can match your personal style to that of your wedding. But before you say “I Do”, we will meet for a consult at either your or our “home”. We are available for a consult 6 days a week both during the day as well as in the evening. During this consult, we will discuss your wishes and decide what will work best for you on your wedding today. Suggestion: it might be fun if you prepare for the consult by making a collage or mood board with bridal hair-and make-up styles so we can tailor our approach to your exact wishes. 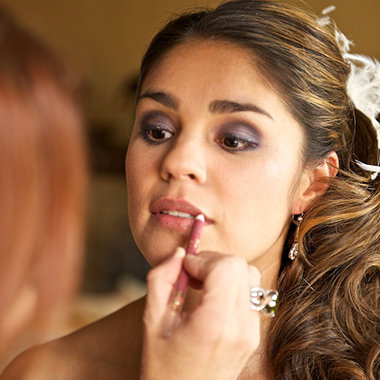 On the big day itself, we will come your house to do your bridal hair- and make-up. Not only for you, but also for your friends, mother (in law), bridesmaids and witnesses. It is also possible to book a package without an initial consult. We will then discuss your wishes via email and will meet you on your wedding day. *Gold: includes consult and make-up artist available on site throughout the day and touch-up before dinner (either hairstyling/make-up or both). 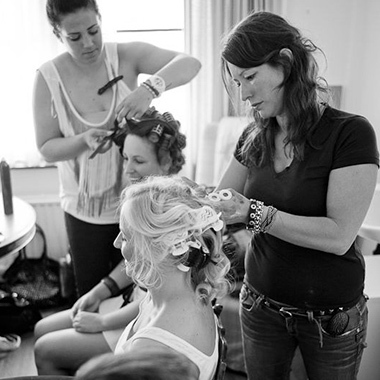 Bridal make-up or bridal hairstyling without consult. All rates are inclusive of VAT but exclusive of travel expenses (0.25 ct. per km and parking fees). We will discuss these charges (and travel times) in advance and will include the costs in our final quote. 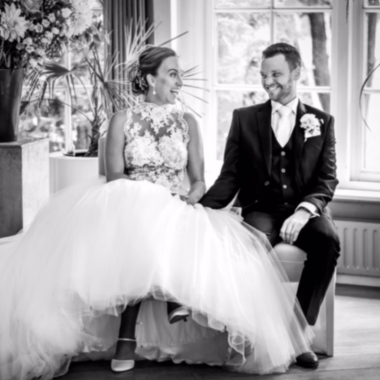 We provide a 15% discount on Bronze, Silver and Gold packages to brides getting married in our region (Purmerend/Waterland) and to brides who celebrate their wedding at Brasserie Beeckestijn Velsen . Please enquire regarding our terms and conditions ! A €150 down payment needs to be transferred on/before the day off the consult. This amount will be deducted from the final invoice (full amount needs to be transferred before your wedding day). Please note that one of our make-up brands is 100% vegan.